Start your sewing machines, Babyologists! 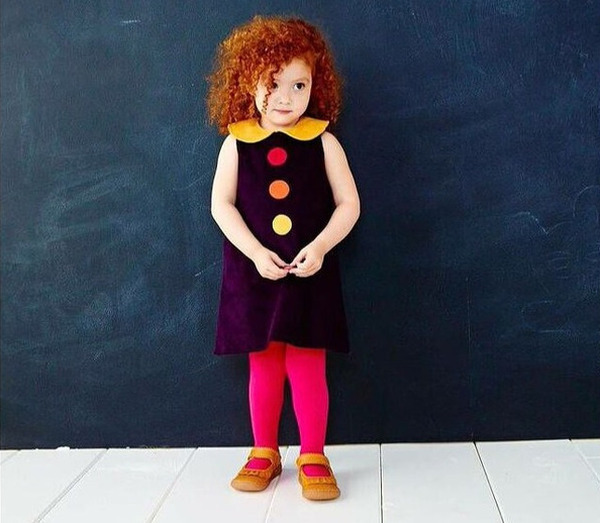 We first introduced you to designer Kirsty Hartley and her funky little clothes over three years ago. 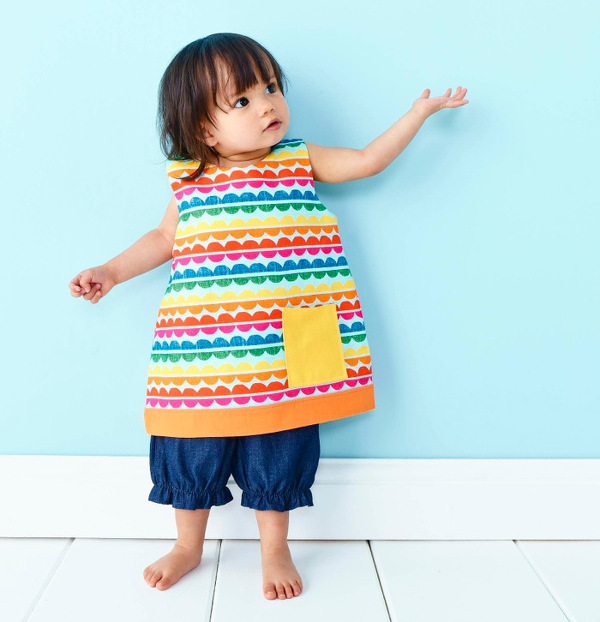 I have to admit, it was love at first sight – I squeezed my daughter into her rainbow pinafore a good year after it probably should have been retired because it was such a favourite. 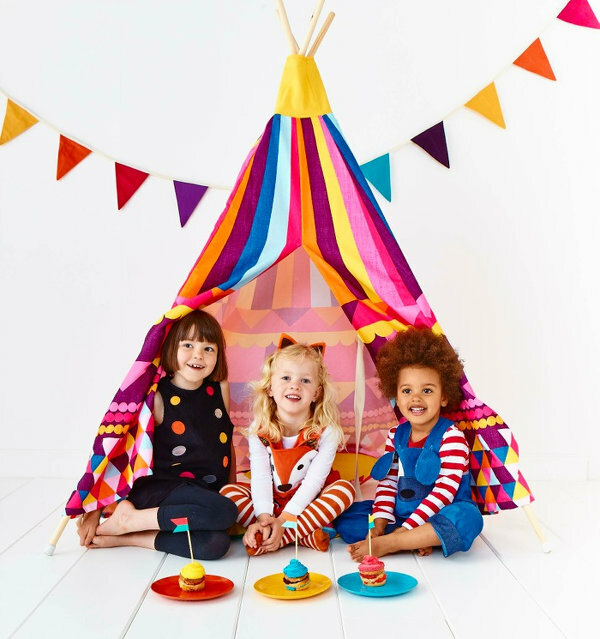 Hartley’s label, Wild Things, strikes the ideal balance between kid and parent-appeal – colourful and cute designs in practical styles and fabrics. 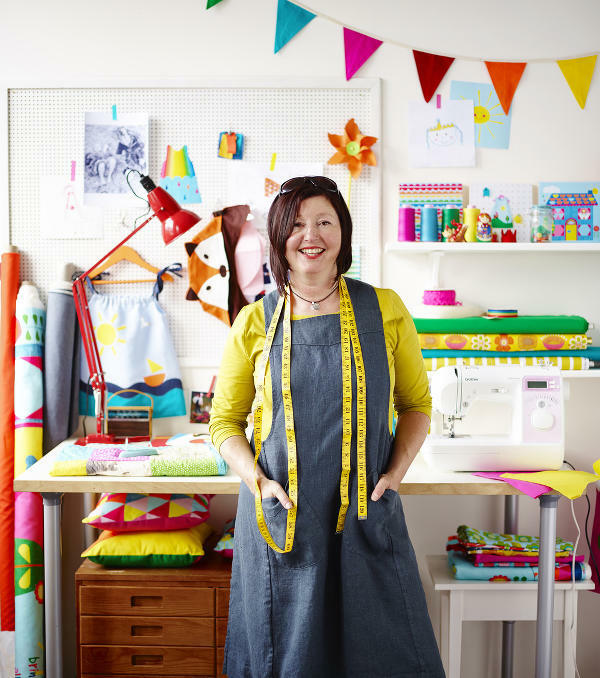 Sharing her vibrant designs, Hartley has just released a book, Wild Things: Funky Little Clothes to Sew and it’s packed with inspiring sewing projects. 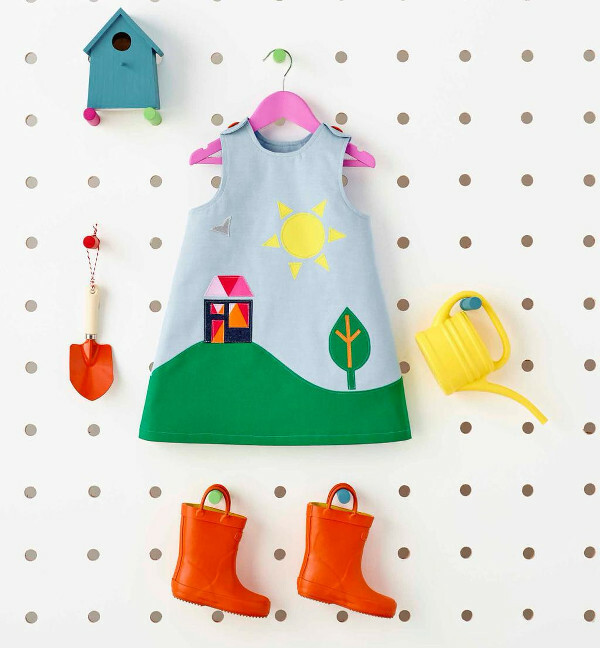 The book includes a mix of familiar and new designs – the stunning Rainbow dress, pinafores complete with flowerpot appliques or petal collars, the signature character dresses and the sensational Happy Landscape dress (below). There are also rompers, skirts, knickers and bloomers, capes, hoodies, jackets, overalls and hats. Actually, there are over 35 sewing projects and tonnes of inspiration for more as many of the patterns have ideas for alternative embellishments. The book includes a thorough guide to materials and techniques as well as templates and basic full-size patterns to get you started. Thanks to Hartley’s love of simple styles (think A-line dresses and elastic-waisted pants and skirts), there are plenty of projects for beginners. For those looking for more challenging sewing projects, the jackets and overalls are sure to keep you busy. I love the playfulness of all the designs but I will make special mention of the gorgeous carousel skirt – a patchwork of bright panels and finished with a scalloped edge – and the sweet reversible pull-on pants with a little sailing boat motif on one side and a large sun on the bottom – cute! 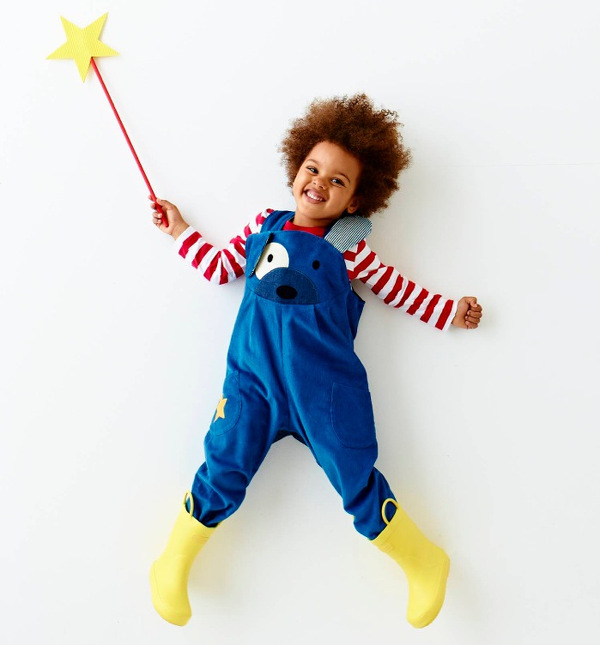 Of course, Wild Things devotees will be desperate to get started on the signature Puppy Dog Dungarees or Little Chick Dress. 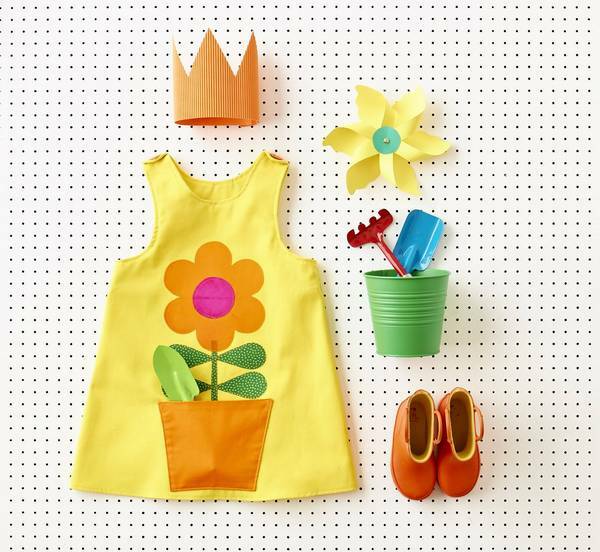 Find Wild Things: Funky Little Clothes to Sew online at Book Depository, who deliver for free to Australia. If sewing is simply not your thing but you want Wild Things in the wardrobe, don’t despair – Hartley’s online store and her Etsy store, have a full range of her fabulous designs, ready-to-wear.